Posted on November 15, 2018 by Carly Wurly / This entry was posted in Uncategorized. Bookmark the permalink. Anthropologie is one of my absolute favourite places to visit, both in-store and online. I always love flicking through their mailshots and like most of you, wish I could afford to buy everything! However just occasionally I see things and think, ‘Whoa I could totally make that for half the price’ and have the fun of making it myself along the way. This years Christmas decoration collection was the perfect example and I thought I would share what I ended up making. 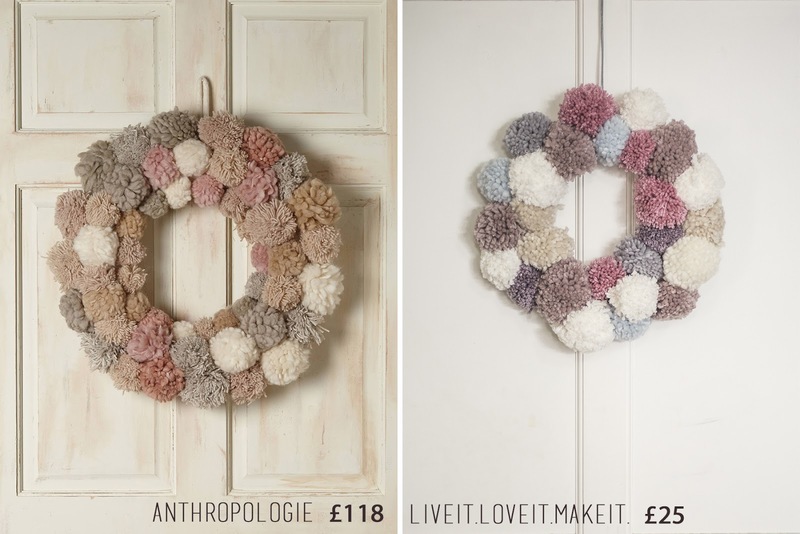 I absolutely love this pompom wreath, I love the textures and the soft colours but I could not justify the price tag! 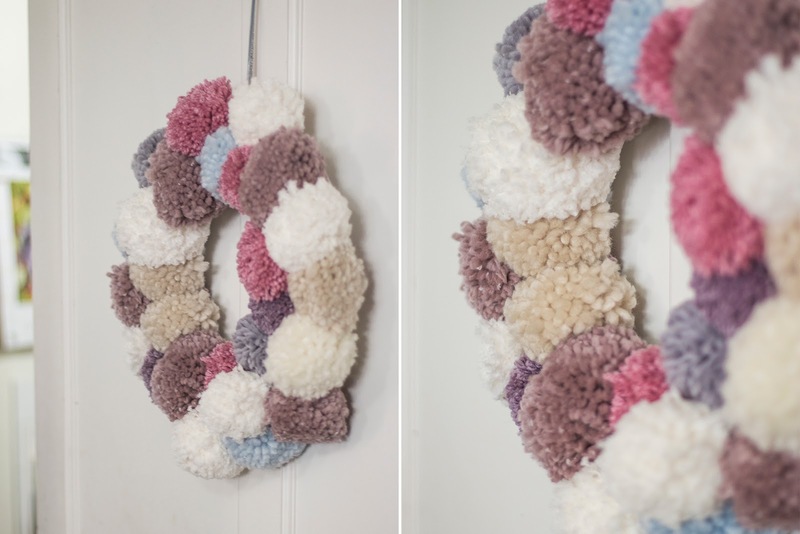 I used a mixture of soft wools and my trusty Clover pompom maker to recreate this lovely door wreath for my own home. I simply hot glued the pompoms I made onto a cardboard ring I cut from a box and hung it with some sparkly ribbon. 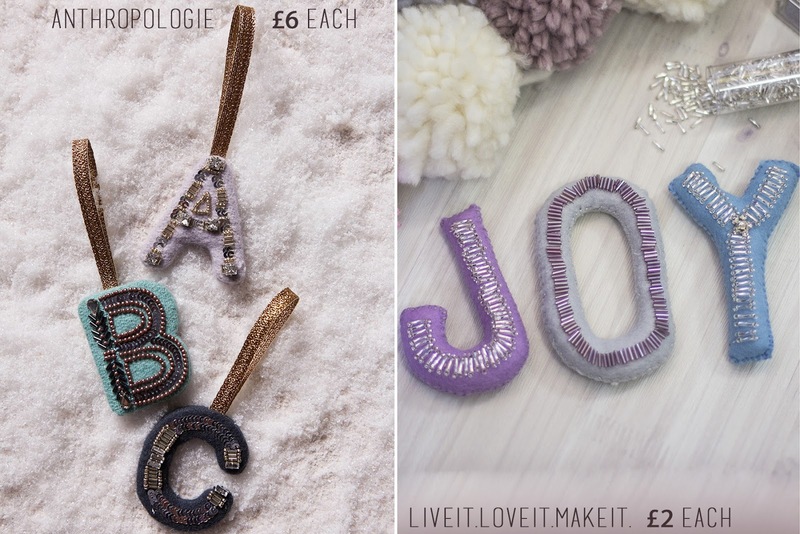 How beautiful are these beaded initial decorations, I love them, but not all the colours were to my taste so I used my felt and bead stash to recreate the letters I wanted in the colours that matched my scheme. I simply drew and cut out the letters from felt then stitched around with embroidery thread before stuffing them to make them rounded. To embellish I just jumped into my bead boxes and used some yummy bugle beads and sparkles. You could easily replace this step with some glue if you didn’t want to sew all the beads in place. This garland was a no brainer, I just used the leftover pompoms from my wreath and joined them together to make a garland to string in my tree, or maybe on our stairway? 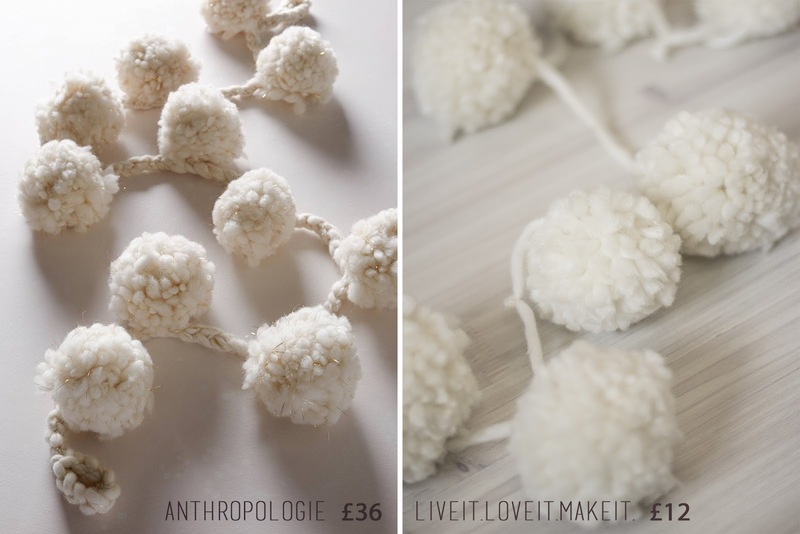 Do you have any favourite Anthropologie ‘hacks’ or inspired tutorials? If you do, link them up in the comments so we can all go and take a look and get inspired.